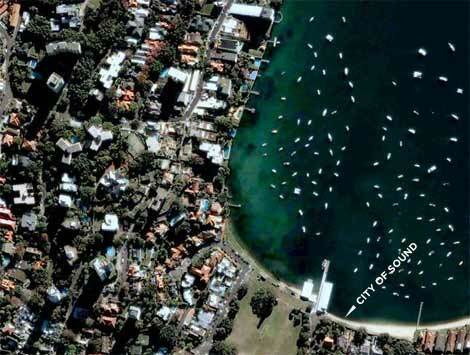 When I started writing this piece, I was sitting on a park bench in the shade, no more than 2 metres from the thin strip of sand that comprises the beach at Sydney's Double Bay. The sparkling water of the harbour eased out in front of me, shifting through translucent green and turquoise into a deep blue 50 metres away, where small boats were moored, gently rocking in the water. Further out, dozens of sleek boats were gliding easily through Port Jackson, returning from the ocean. Wednesday is race day. To my left, the ridiculously expensive apartments of Double Bay (aka Double Pay), basking on the hillside leaning back from the water. And it was very hot, yes, but a quick paddle in the cold water reassured me it was still officially spring. 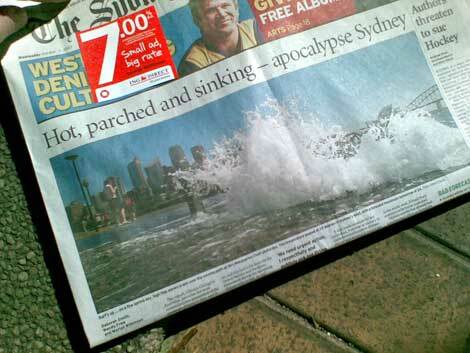 Sydney seemed as far away from an apocalypse as you could get. 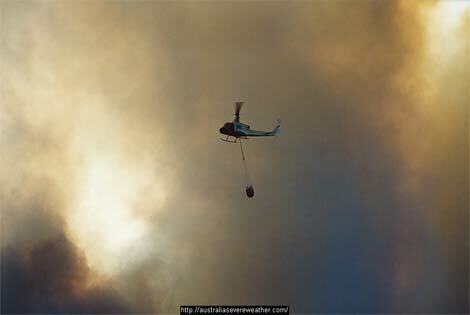 But today also sees the city beginning to be encircled by numerous bushfires, whipped up by the high winds from the interior desert - winds that will approach gale force in the next few hours - combined with the heat and low humidity. It's 34 degrees and climbing. Having grown up on a crowded lump of rock in the North Atlantic, artificially warmed by the gulfstream (though not for much longer) but relatively close to the lower edges of Arctic circle, this heat is bewildering, enjoyable and slightly fearful, all at once. I like the heat, personally, but I also understand what it means, and that this amount of heat at this time of the year - set to be the hottest on record - does not auger well in the long run. 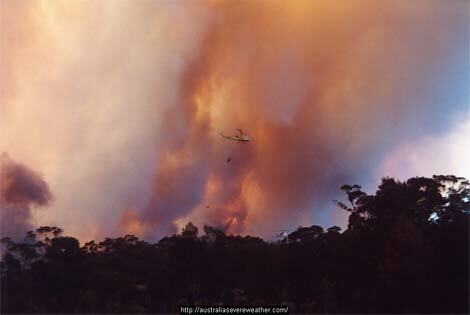 The experience of heat itself is difficult to write about - hence the papers resorting to apocalyptic images of the sea levels rising or helicopters water bombing bushfires near Oxford Falls in Sydney's north. 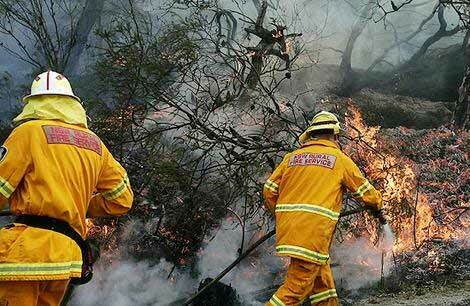 "It's going to be a busy day," a Rural Fire Service (RFS) spokesman said this morning. 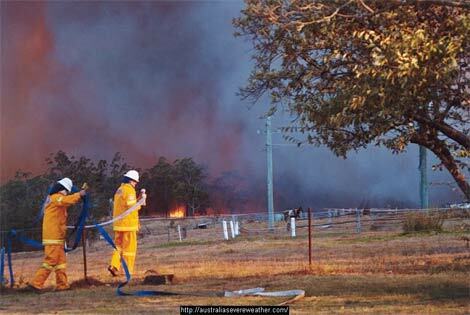 By the afternoon commuter highways from Sydney to Newcastle had been closed for safety reasons as several fires roared through the state. My taxi driver grimaced and said, "It's just a tinderbox out there". It reminds me somewhat of the opening piece in Justin O'Connor's Shanghai Diary a few years ago, writing from a position of 36 degrees in the shade. But the threat of these fires is something else. Peter Carey's 30 Days in Sydney is a fabulous little book on the city in general, but in a memorable passage he depicts the horror of the burning city, from a very personal perspective of chucking buckets of water around a house being approached by flames. (He also cross-references this with the ancient indigenous practice of firestick farming.) To me, coming from London, a city on fire means two things: the Great Fire or the Blitz, and both are resolutely entombed in history rather than lived experience. Here, a city on fire is a possibility, and a reality if you live on the sprawling outer fringes. These, incidentally, are the outer fringes where it is imagined that most of Sydney's projected population growth will live. "We need urgent action right now," Dr Peacock said. He suggested making what he termed "an heirloom quilt" to patch together a range of strategies. These would include bio-sequestration - the storing carbon in trees, grass and shrubs. He also suggested taking another look at setting up nuclear power in Australia and using clean coal technology. However, he said neither could be online in this country for at least 10 to 15 years." But haven't we heard this before? Did you switch off in the previous paragraph or not? The projections to 2070 are problematic as a) they're so far off as to be refutable, and b) beyond many people's lifetimes. Personally, I'll be dead, but I'm aware of the importance of "urgent action right now", even if I also struggle with the daily shifts in behaviour required. I'm more interested in the tactics and programmes required to shift habitual behaviour on a massive scale, and I'm collecting a few examples of how Australian city and state governments are providing information about climate change to citizens. There are some creative, imaginative tactics, as noted here before, as well as some rather less-thought-through frustrations as to 'why can't people just change'. But there's clearly more to do, across a huge number of areas. "While it seems to be a very new thing in our profession, I just sit and smile. I have been working with this since I started my practice in 1969 ... As we're in a temperate climate in Sydney, this house and office, designed and shared with Wendy Lewin is not heated nor air-conditioned. We rely on opening the windows and doors during the warmer months to receive the air while in winter we close them and put on more clothes." I love that. The simplicity of living sustainably is such that it shouldn't need the threat of an ensuing apocalypse to become a desirable way to live. Melbourne-based architect Andrew Maynard, in a recent issue of POL Oxygen: "We dismiss sustainability as a theme. It is simply the right way to do things." That's a far better way of thinking about it, and also negates the argument that Peacock refers to - why should Australians change when they contribute only 1% of global emissions? Because it's just the right thing to do. But Murcutt's jumpers and 'doing the right thing' doesn't seem to have an urgent tone about it either. And although it is that simple, and it is simply a question of living in a civic fashion and designing and building in the right way, the population at large still doesn't get it. In that SMH article, it continues, "Addressing the 700 assembled scientists, Dr Tim Flannery said: "We need urgent action." Science would drive the agenda on how to address climate change from now on, and this had to be done via the United Nations and the Kyoto framework during the upcoming climate talks in Bali, he said." And it's great to see the likes of the heroic Flannery "driving the agenda", but just speaking from a perspective of communication - or indeed marketing, if we must use that term - I still wonder about the tactics employed. If the science community used the same production values that, say, filmmakers had - or politicians for that matter - it might have had more effect already. It's only with the airing and promotional blaze of Al Gore's stunt-Powerpoint An Inconvenient Truth that some begin to pay attention. Even then, many, perhaps the majority, have still not thought deeply about it, never mind changed behaviour or attitude. Much as I hate to endorse the shock tactics - I'd really rather people understood the science, had a think, and shifted their behaviour accordingly, but hey - it might be that we need to generate a few more visions, and tell stories that extrapolate from the position Sydney finds itself in; of a city with sea levels rising as fast as food and water prices and surrounded by an inferno closing in at high speed. Apocalypse Sydney is ludicrously overplayed, but sitting here typing away, as the dry heat shows no sign of diminishing well into the evening, we might need a bit of drama to hold that temperature rise to 1 rather than 4.3 degrees.